Welcome to the OFO website. If it's Ontario birds that you are interested in, then you've come to the right place. While you're here you can see Photo Galleries of recent sightings, find out about Upcoming Field Trips, view the official Ontario Checklist, read our Code of Ethics, Become a Member, and much more. Enjoy the experience. The top places to see spring warblers are the shoreline migrant traps along the Great Lakes such as Point Pelee, Rondeau, Long Point, Leslie Street Spit, Thickson's Woods, Presqu'ile and Prince Edward Point. Shorelines also offer easier viewing because the cold water of the Great Lakes chills the air, slowing leaf-out. Expect 20 or more warbler species on many days in May. 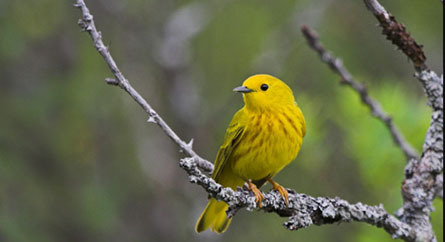 The late Jim Baillie, ornithologist at the Royal Ontario Museum, said the best time of day for May warblers is between 7:00 and 9:00 a.m. because one must wait until the sun warms emerging leaves and insects. See the Spring Warbler Migration Guide in the Articles and Reports section here. There are new photos of Piping Plover, Yellow-bellied Sapsucker, Yellow-throated Warbler and Pectoral Sandpiper in the current gallery. There are new photos of Yellow-throated Warbler, Lesser Yellowlegs and Dunlin in the checklist gallery. There are recent trips reports for Spring Waterfowl Migration East of Ottawa, Prince Edward County, Point Pelee Photography and Fisherville Area, Haldimand-Norfolk on the current trip reports page. Register now for the Alan Wormington Young Birders Camp! The Alan Wormington Young Birders Camp for teen birders and naturalists will take place the second last week of August, Saturday August 17th to Saturday, August 24th. This year will be the camp's third year. Campers will stay at the Algonquin Wildlife Research Station in the heart of the park. Situated beside a small private lake in an untouched forest, the station is a hub for wildlife researchers and a perfect base for exploring the Algonquin Park natural environment. Led by professional scientists and guides, the camp is designed to give campers an in-depth experience of the birds, moths, dragonflies, snakes, mushrooms and ecology of the park. Campers will also have an opportunity to learn from the active researchers at the station and practice their wildlife photography skills. Previous camps have been a lot of fun! Highlights have included canoe trips, wolf howls, mothing and tracking frogs and salamanders during their night time movements. The cost is $700 for the week which includes accommodations and meals. Please contact Lynne Freeman at lynnef.to@gmail.com for further information. Register Now! Scroll down to the camp to register. Registration for the 2019 field trips and workshops is now available. Please note that registration is not required unless otherwise indicated on the field trip list. Convention and Gull Workshop registration will begin at a later date. Please note that you must be an OFO member to register. 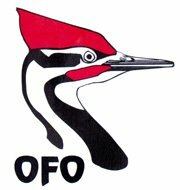 Ontario Field Ornithologists © 1984. All photographs on the site © the photographer.